The world is becoming increasingly global—and so are the students at the Gabelli School of Business. Two of this year’s graduates—Andrew Santis, who is receiving a bachelor’s of science in marketing with a concentration in global business, and Stephanie Ballantyne, who graduates with a dual master’s degree in public accounting and taxation—have worked, lived, and studied in more than a dozen countries between the two of them. Stephanie Ballantyne is graduating with dual master’s degrees in accounting and taxation. To Ballantyne, the global bent at the Gabelli School felt like home. 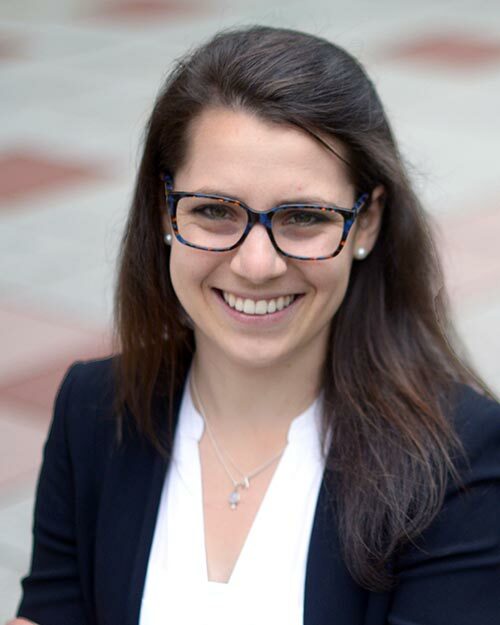 Born in Germany and raised in Switzerland, she completed her undergraduate degree in accounting finance at the University of Stirling in Scotland, and then worked for Deloitte Zurich before coming to Fordham. The move was challenging, she said; but then, having attended an international high school and traveled as a student to the likes of Egypt, Russia, and Greece, the challenge was a familiar one. “I’ve always had culture shock happening at some point or another, but I grew up knowing I’d have an international lifestyle,” said Ballantyne, whose credits include president of the Gabelli School’s Accounting and Tax Society and chief operating officer of the Finance Society. The New York pace has suited Ballantyne. She interned at Deloitte in Manhattan last summer, and by August she had secured a full-time offer. Andrew Santis is graduating with a bachelor’s of science in marketing and a concentration in global business. For Santis, a native New Yorker, it was a study tour to Spain during his junior year that sparked his passion for global business—but his real adventure began when he returned home to his internship at Cardwell Beach, a digital marketing agency. His options boundless, Santis chose a multi-city tour of Europe. 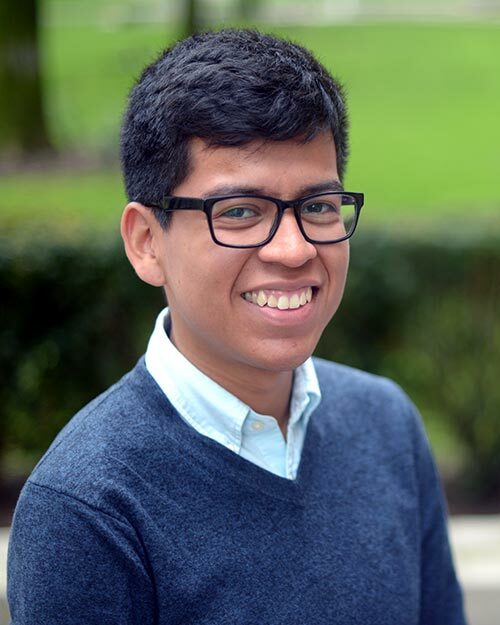 He began with a week in Paris, and then joined up with fellow Gabelli School students for a summer semester program at Fordham’s London Centre. After London, he continued on to Germany, where he spent a week each in Frankfurt, Cologne, Hamburg, Berlin, and Munich. In the mornings Santis explored the city, and in the afternoons, once his New York colleagues were at the office, he worked on creating buyer personas for Cardwell Beach. Both Santis and Ballantyne have jobs lined up following graduation. Ballantyne will continue with Deloitte in Manhattan, and Santis will take a full-time position at Cardwell Beach (a position for which he will craft his own title and job description).